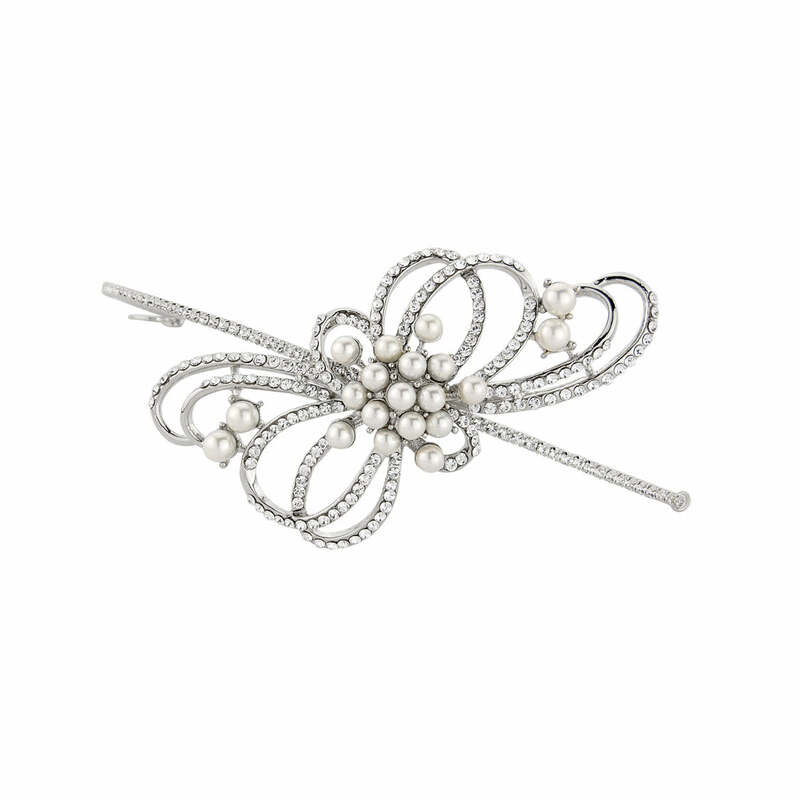 Taking inspiration from the 1950s, this side tiara will dress your hair with class. Utterly beautiful, Ribbons and Pearls Side Tiara takes its inspiration from vintage headpieces from the early 1950s. Featuring a multi-looped Austrian crystal encrusted bow with ivory faux pearl accents and set on a fine crystal demi-band, the design features end hoops to secure to the hair with kirby grips. A beautiful side tiara for brides who adore wedding hair accessories from the 1950s, this compliments all styles of bridal gowns with class. From a 1950s tea length gown to floor length wedding dress with bow detailing, just coordinate with simple pearl studs and a pendant or add a hint of drama with a pair of chandelier earrings.